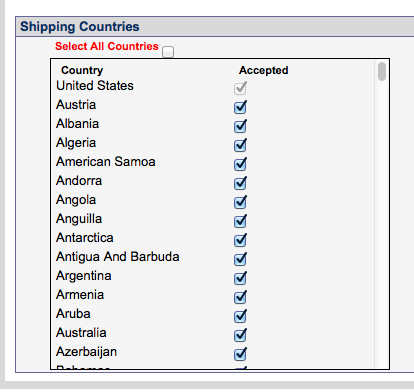 You can control which countries can order on your site by going to the Website > Preferences >Checkout and Credit Cards section in Store Manager. At the bottom of the page is the list of countries. You can block a country by simply unchecking the box next to their name.